This is a great place to start if you’re just getting into using your WordPress site. After you’ve installed WordPress and your theme on your site, what should you do first? 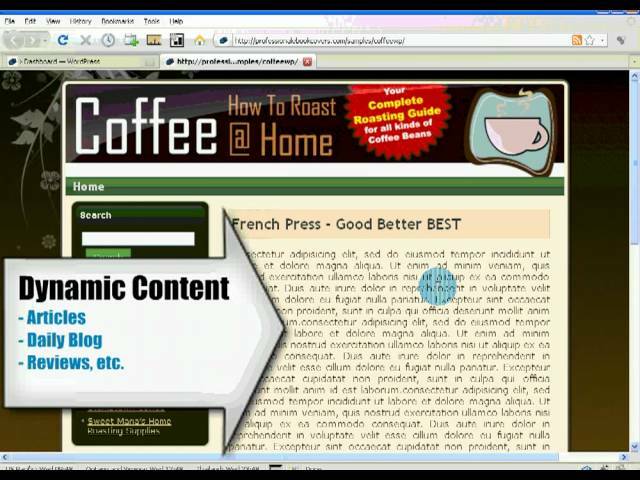 This tutorial will teach you how to simply set up your pages and make one of those pages into your static home page. I wish your video was the first video I watched! It would have saved a lot of confusion. You are a wonderful teacher! This is a great tut, but my problem is page arent appearing on the top strip. i only have a home button. Any ideas? Got it fixed..there was a problem with my theme.Thanks a lot good sir! OK, I got to hand it to you – your vid comes close to what I expect to would be pretty straight forward. Being a newbie web page developer I heard of the popularity of WordPress, which installed on my web hotel. NOT being a newbie surfer I have surfed zillions of pages I a pretty good idea about what a standard web page should contain and I expected it to be (as indicated) straight forward to get my website operational since my needs are very simple. Then I being confronted with this blog tunnel vision in WordPress and all the trouble I have had so far having it ripped out of my web page I start to look for information. Why do you (and all the others WordPress’ers) not take the opposite approach based on the normal ration between static pages and blogs? You start babbling about posts here, posts there….. Forget about posts and get on with what is most interesting for standard web developer: static pages.